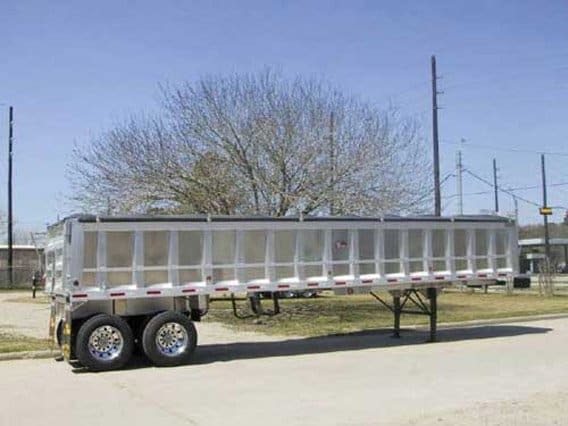 Customized to meet the diverse needs of our customers, Travis Dump Trailers can handle a wide variety of materials, including Aggregate Hauling (Sand, Dirt, Gravel), Asphalt Hauling, Agricultural Products & Lightweight Commodities, Municipal Solid Waste (MSW) Transfer & Disposal, and Sludge, Liquid Loads, and Rendering. 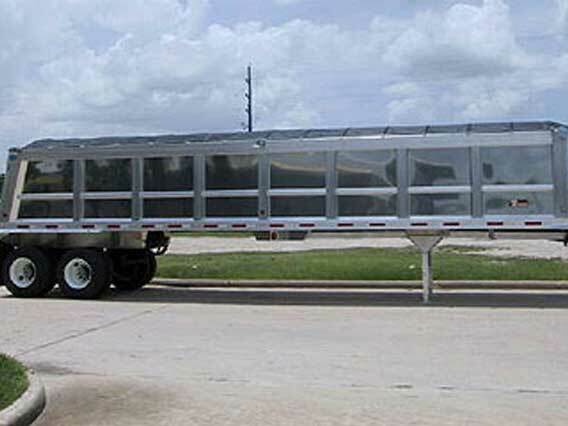 All our hauling equipment is available as frameless, quarter-frame, or frame-type. 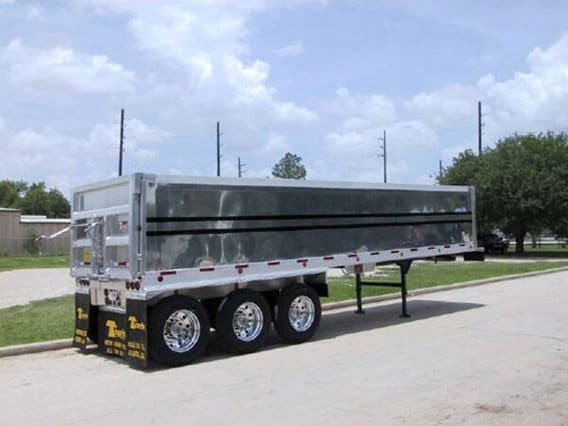 Most trailers are available in body widths custom tailored to your application, from straight 76" wide, to tapered 84" to 90" wide, tapered 90" to 96", tapered 96" to 102", straight 96" wide or straight 102" wide. Whether you need lightweight or heavy-duty hauling, we have what you are looking for. 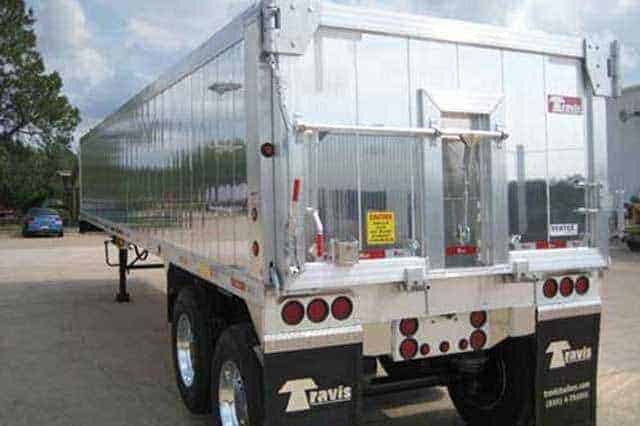 See current TRAVIS DUMP TRAILER INVENTORY HERE. For more information or questions, call us at +1 (573) 545-3065 or +1 (866) 280-6110. You can also Contact Us or Request a Quote through our online forms. Need financing? Please download and complete our Credit Application Form. The Travis 39 ft Alumatech Dump Trailer is better than ever! The new Alumatech has several upgraded and redesigned features that are on all Travis End Dumps, such as rubber-sealed gate, overcenter gate latches, and heavy-duty tailgate frame bracing. The CAT scale weight of our 39 ft trailer is an incredible 8,892 lbs. 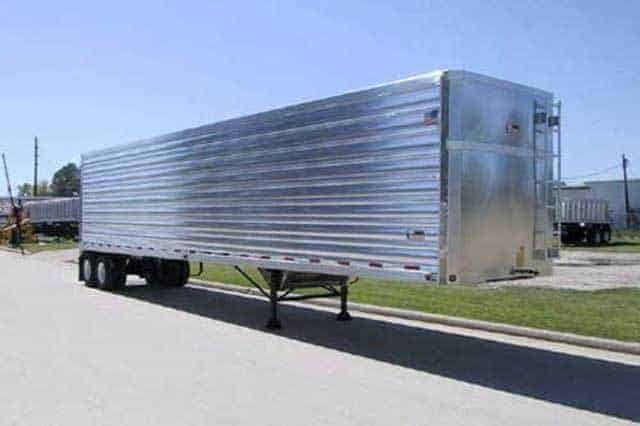 This trailer is also available in an All Aluminum seamless Dump Body. The Wave® design combines the "best of the best" features from several past and current designs into one incredible trailer. 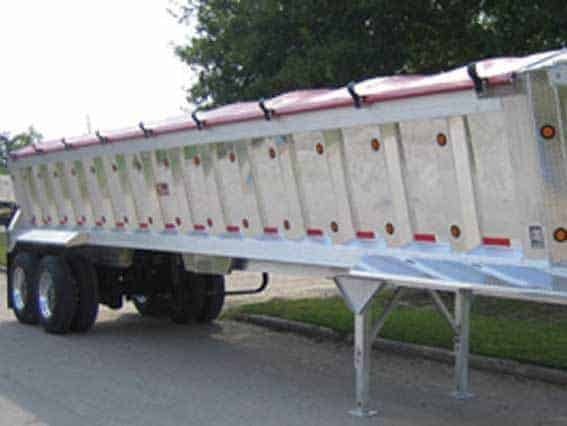 This polished end dump trailer incorporates smooth outer walls as found on our Aero-Lite end dump trailer. It uses our patented rub-rail and floor crossmember design. Also, the trailer has both an inner and outer wall as found on our SST-Aerodyne end dump or tipper trailer. Finally, the trailer maintains the superior design integrity as found on our Classic trailer for all of the components and sub-assemblies. The Vertex is a patented trailer design which combines the vertical panels of an extruded, dual-wall trailer. 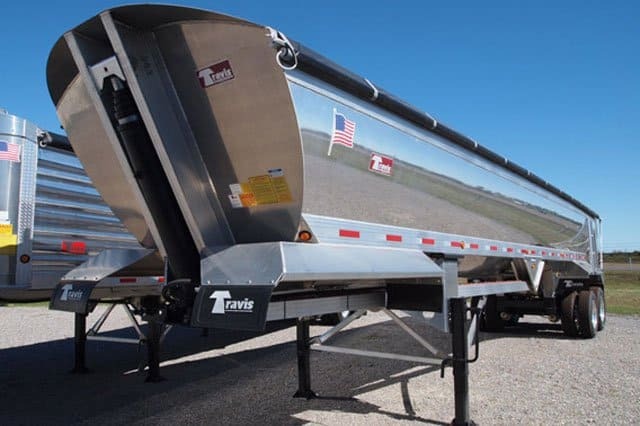 This trailer adds to the powerful line-up of smooth-sided innovations from Travis® that date back to 1989. Features and benefits include frameless, frame-type, or quarter-frame; tandem, tri-axle, quad-axle, or spread-axle; lightweight, heavy duty all aluminum construction; aerodynamic smooth-sided fuel saving design; and much more.